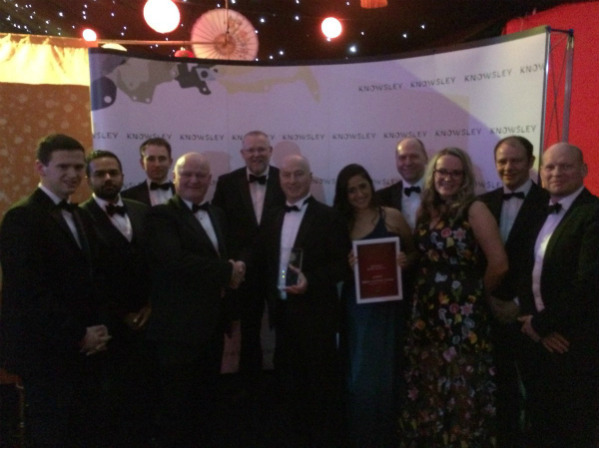 We’re proud to announce that we’ve won ‘Investment of the Year’ at The Knowsley Business Awards. The Knowsley Business Awards celebrate the hard work that individuals and organisations are doing to drive forward Knowsley’s economic success. This year’s awards ceremony took place at the spectacular Grand Marquee in the grounds of Knowsley Safari Park. The ‘Investment of the Year’ award recognises a business or partnership that has made a significant and beneficial investment in Knowsley during the last 12 months. As you already know over the last 18 months we’ve been on a journey of transformation with over £130m invested securing the future of Halewood on site infrastructure improvements. These projects have covered 36 acres which is the equivalent of 22 football pitches and the investments will make sure the plant is operating efficiently, productive and flexible for the longer term.